The beach is a both a huge draw for tourists and a big reason why people choose to live in San Diego. It doesn't matter if it's December or July–good weather enables year-round surfing lessons, suntanning and sand castle building. Beachfront hotels can be found all over the county. You will pay a bit more for the privilege of staying steps from the sand but it's worth it. Voted one of America's Top 10 Beaches by the Travel Channel, Coronado Central Beach is right in front of the historic Hotel Del Coronado. Forget your beach gear? 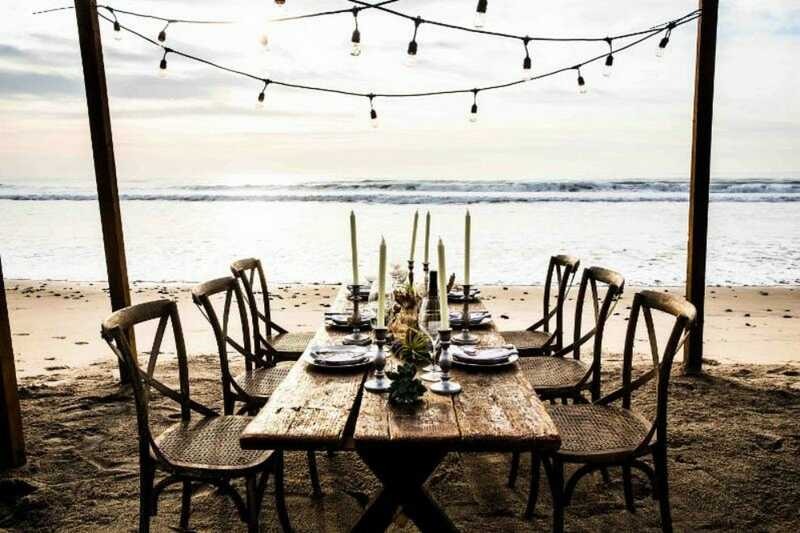 This luxury resort, popular with celebrities, politicians and residents, has umbrellas, chairs, boogie boards, surfboards, and volleyballs available for rent as well as a shopping arcade to pick up bathing suits, sunscreen and other necessities. Up the coast in Del Mar, L'Auberge Del Mar offers a private footpath to the beach and a prime location near Del Mar's finest restaurants and shopping. Though not directly on the beach, it's just right across the street from one of the most popular, family-friendly beaches in North County. Also, on our list of 10 best budget hotels, the Ocean Beach Hotel provides guests with a beachfront experience without breaking the bank. It's located in the funky beach neighborhood of Ocean Beach. Walk out on the pier, nosh on burgers or fish tacos, and have a casual beach vacation. 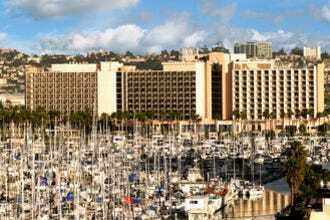 If you're coming to San Diego or a resident looking to staycation, relax at one of the 10 best beachfront hotels. As a boutique hotel literally a few steps away from the beach, the Ocean Beach Hotel does not disappoint. As the name suggests, the hotel is in the neighborhood of Ocean Beach, a funky beach town north of Point Loma and south of Mission Bay. You'll be able to walk to great casual dining, shops and the Ocean Beach Municipal Pier. Guests enjoy free parking and WiFi. Rooms include a refrigerator, microwave, blow dryer, iron and board and the hotel also has a nice courtyard. Visit the hotel website to see the rooftop camera live-stream footage of the beach! 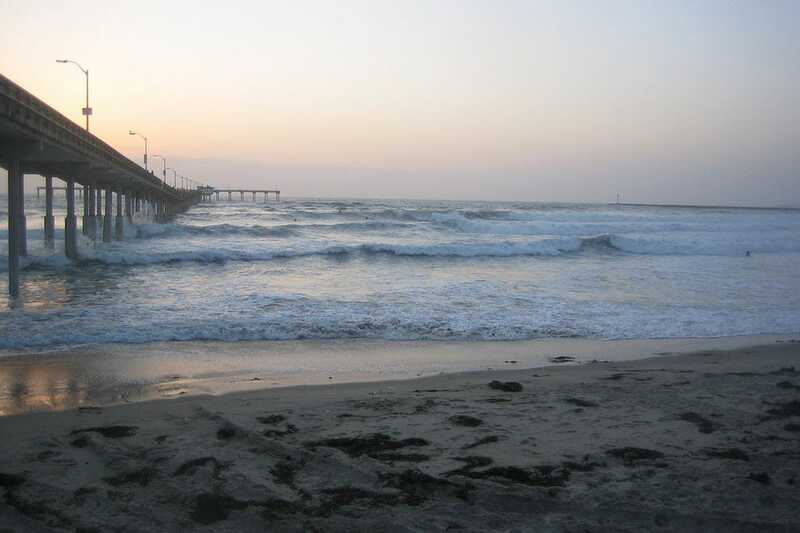 Ocean Beach is also one of the best places in San Diego to see a sunset. Cape Rey Carlsbad reflects a hip, SoCal lifestyle complete with a location right across from Carlsbad State Beach which is perfect for lounging in the sun, exercise, bird watching and kids. 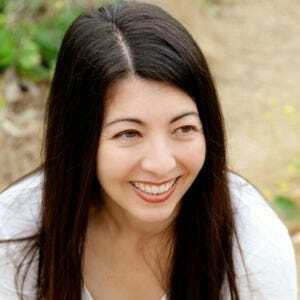 (Though one can happily break from the beach and head to LEGOLAND down the street or shop for bargains at the nearby Carlsbad Premium Outlets.) The hotel is focused on immersing guests into the local experience through the tastes, places, products and personalities that make up the surrounding area. The restyled pool area includes private cabanas, adding to the property's new ambience of laid-back luxury and employees are also cheerful ambassadors of the area and hotel. 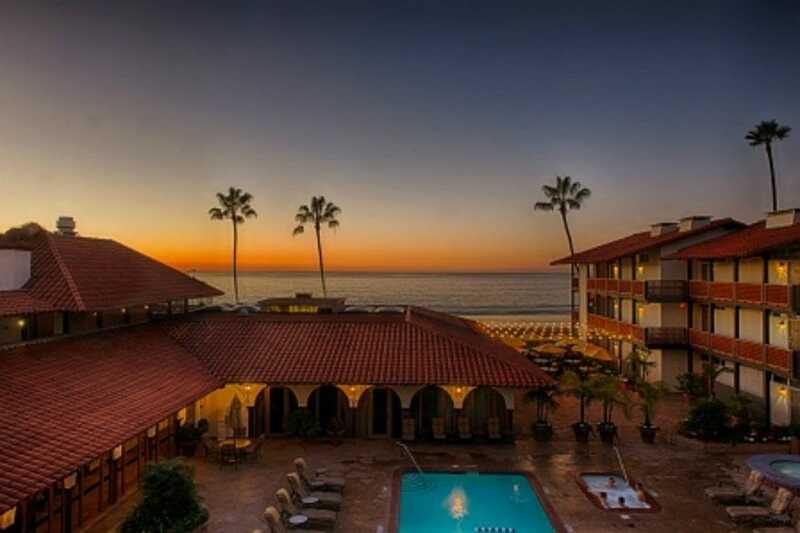 Just a quick walk away from one of San Diego's nicest beaches and Del Mar's finest restaurants, the L'Auberge Del Mar is an excellent vacation choice. The resort is reminiscent of a private, coastal estate, offering 112 plush guest rooms and 8 hotel suites with village, garden or coastal views. Some of the luxury hotel amenities offered at L'Auberge include a gorgeous pool overlooking the Pacific, private cabanas, a landscaped footpath to the beach, a state-of-the-art fitness center equipment, two lighted championship tennis courts and a tennis pro for instruction. Breathe in the sea air at Spa L'Auberge while indulging in massages, body treatments, facials, manicures and pedicures. 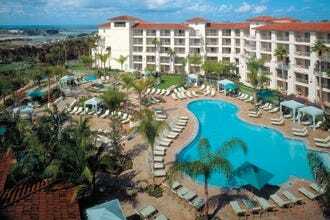 Catamaran Resort is a family-friendly, tropical-themed resort located on Mission Bay. The tranquil bay beach is just outside the door, but if you prefer a beach with ocean, just a few blocks to the sand at Pacific Beach. From garden view rooms to bay front suites, the 313 rooms have balconies or patios for guests to enjoy the outside. Resort activities (the most of any Mission Bay hotel) include boat cruises, sailing, surfing, water skiing, biking, skating, a video game arcade and more. Dine aboard the Bahia Belle, one of the resort's sternwheelers or at Oceana Coastal Kitchen's outdoor patio or crudo bar. Kids will love the resort parrots, too. 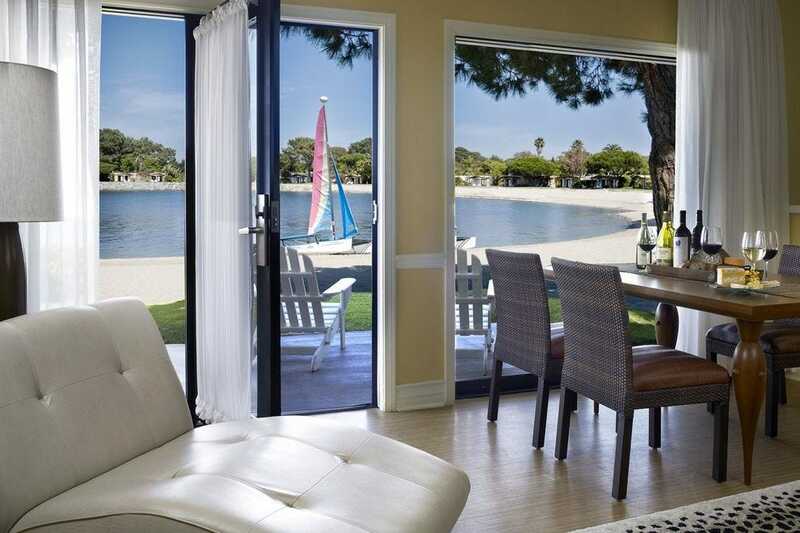 Escape to a private 44-acre island tucked away on gentle Mission Bay yet only minutes from downtown San Diego. Find oodles of activities to choose from whether you're seeking fun and adventure, or rest and relaxation. Spend your day lounging by one of five pools, then roast s'mores with your toes in the sand at a beach bonfire at night. Tap into your adventurous side for some jet skiing, sailing or kayaking or unwind at The Spa while the kids explore the island via beach cruiser or learn to surf the Southern California waves. Rooms have been recently refreshed. Keep in mind you'll need to drive to the ocean beach. A gem on the Pacific Beach boardwalk, Tower 23 brings chic to an otherwise casual neighborhood. Contemporary rooms with coastal palette make you feel like you're at the beach. JRDN, the trendy hotel restaurant bordering the boardwalk, is popular with locals for not only the ambiance, but the food and specialty cocktails, as well. 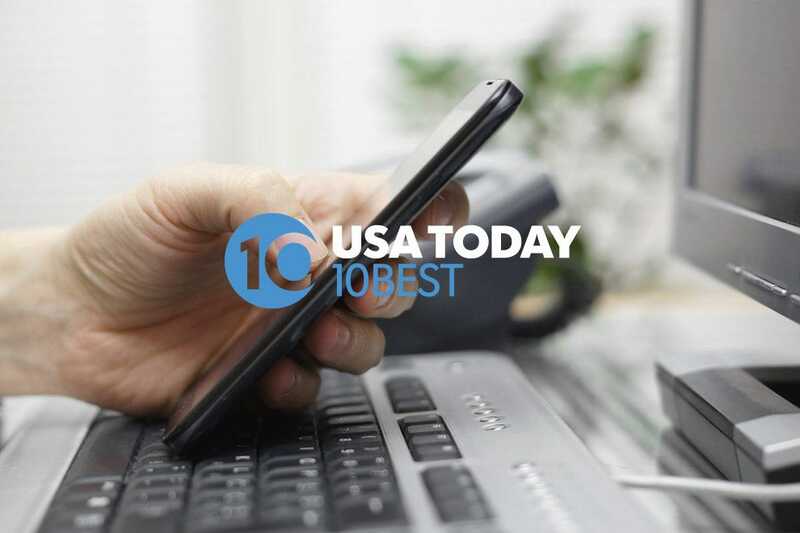 "Serenity" beds, step-in rain showers, in-room massages, high definition TV, 24-hour room service, and high-end fixtures round out the swanky room amenities. All 44 guest rooms have a private balcony or terrace. WiFi is everywhere, so in theory you can check it even from the beach (near the hotel). 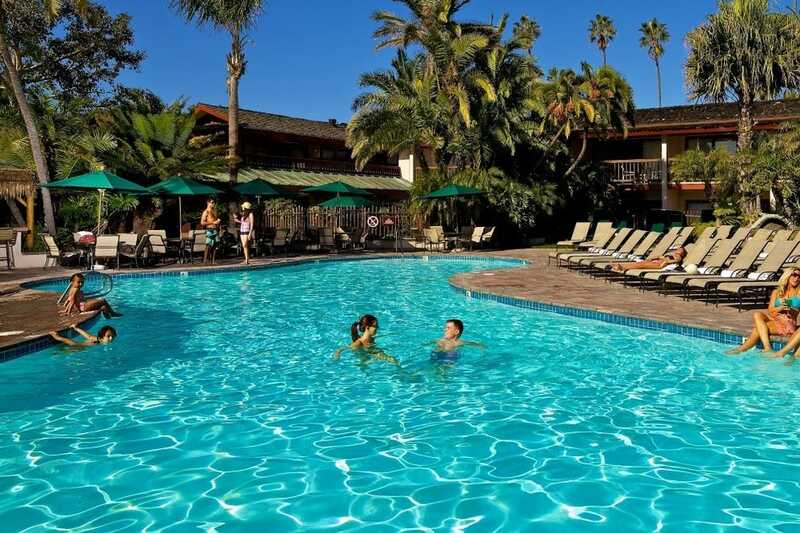 La Jolla Shores Hotel is right on La Jolla Shores Beach, one of San Diego's most family-friendly. Grab a hotel beach chair, towel and umbrella and park yourself on the sand just steps away from your room. 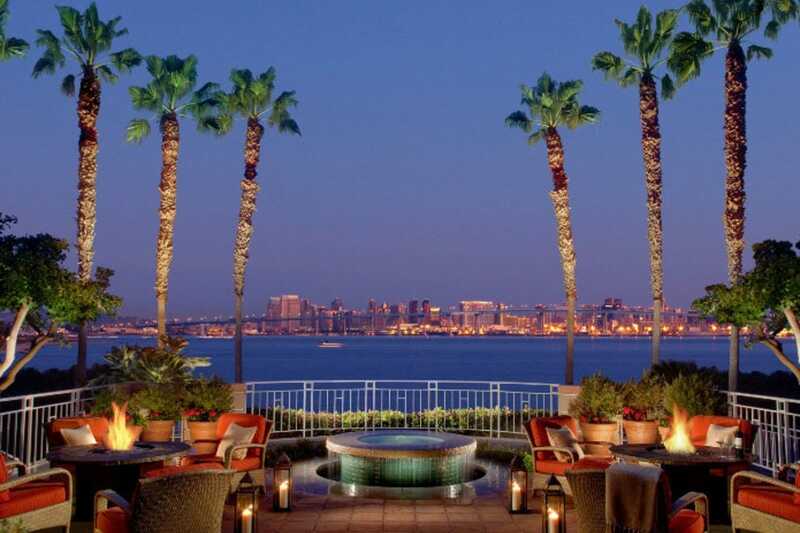 The Shores Restaurant provides California cuisine room service and one of San Diego's best ocean view dining experiences. The newly remodeled beachfront and ocean view rooms, are available for short or extended stays. 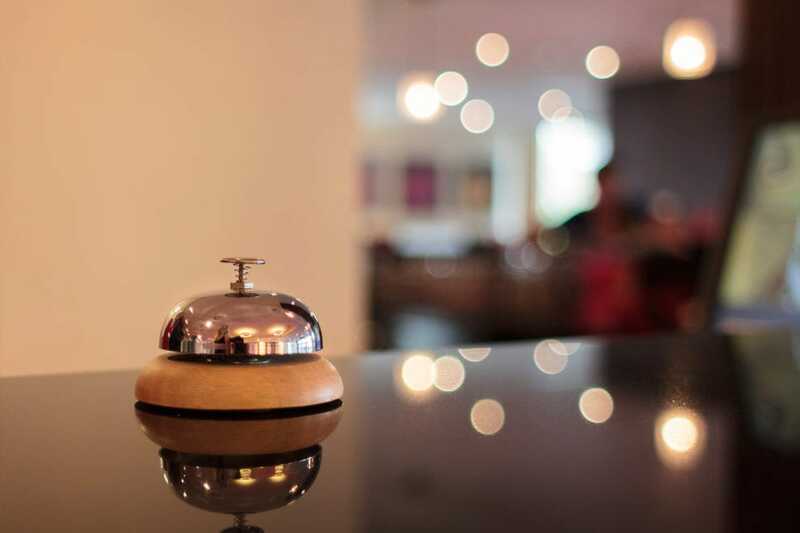 Amenities include WiFi, balconies, eco-friendly bath amenities, in-room recycling, and more. The entire property is non-smoking. There is a small pool and fitness center. The beach here is a popular launch point for kayaking, stand-up paddle boarding, surf lessons and early morning dog walks. Guests may sign up for beach activities via the front desk. 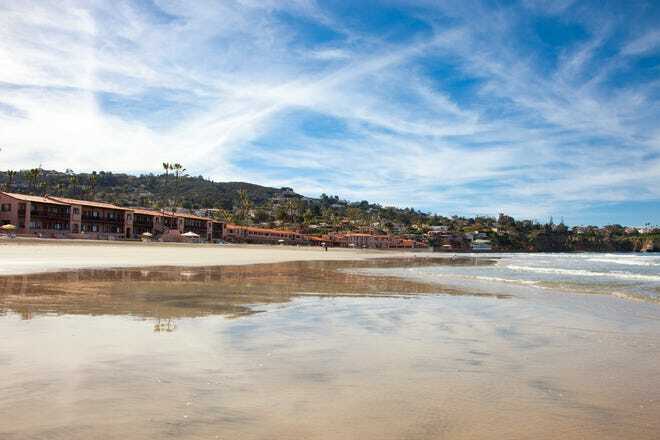 Normally a privilege reserved for members of the exclusive La Jolla Beach and Tennis Club, accommodations here offer up a stay on one of Southern California's only private beaches, where a glass of wine in the sand is perfectly okay. Guests enjoy all club amenities including tennis courts, a par-3 golf course, heated outdoor swimming pool, fitness center, and full service beach catering. Cook up your own beachside s'mores or hot dogs with a private beach barbecue. The eco-friendly rooms provide modern conveniences such as a coffee maker, WiFi, flat-screen TV, safe, air conditioning and more. 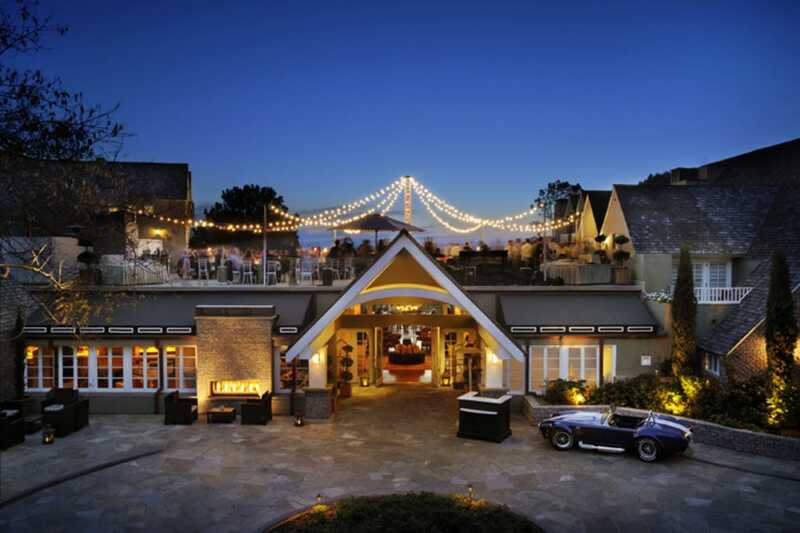 The Marine Room, one of San Diego's best restaurants, is also on the property. 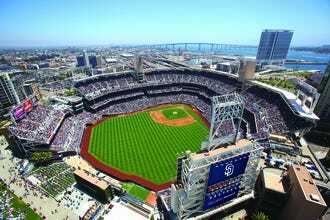 The iconic red roof has become one of San Diego's most recognizable symbols. 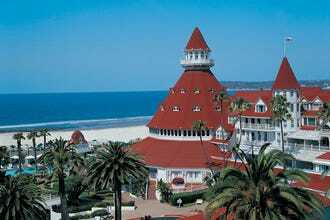 The beachfront Hotel del Coronado is filled with 130 years of history. Guest have included 11 Presidents, royalty, and countless movie stars. This luxurious National Historic Landmark offers plenty of ocean view dining, a state-of-the art fitness center with classes held on the beach (like spinning and yoga), a full-service spa, and daily evening kids' programming. Beach Village is its private enclave with suites and cottages that have gourmet kitchens, private terraces, and larger living spaces. Unique amenities include Del Beach with drink service and equipment rentals, summer programming from beach movies to s'mores on the beach, and more.